People branch out for different career options in Healthcare sector more because of the gratitude attached to them rather than money. In monetary terms also, however, Healthcare is one such sector that never gets affected by any economic recession. 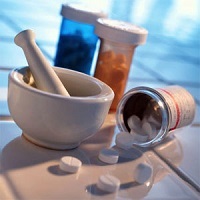 It offers different verticals such as Pharmaceuticals, healthcare management, etc. We, at Guru Placement Division, provide the companies engaged in Medical or Pharmaceutical fields with the best possible Recruitment Services so that they can efficiently ensure the wellbeing of the mankind.